1 Indulge in what’s healthy and delicious with this fast and easy salad dish. 2 Begin by combining the cooked pasta with the rest of the vegetables, ham and spices in a bowl. 3 In a separate bowl, mix together the barbecue sauce, diluted Knorr Pork Cube and Knorr Liquid Seasoning. Mix well then pour the mixture in the pasta bowl then toss together to fully coat. Making the dressing separate is more recommended than adding all the components at once to the pasta because you have the liberty to adjust the seasoning. 4 For a more refreshing salad, you can sprinkle the juice of ¼ lemon and add some chopped cilantro on top. 5 Be amazed at how creativity can go a long way. 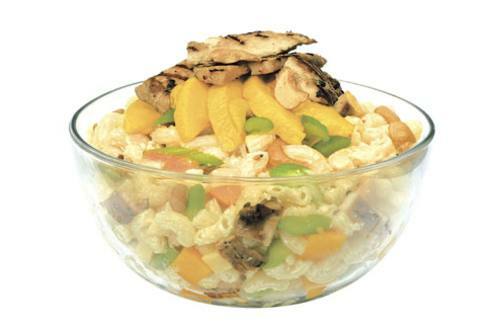 You will surely be blown away when you try this Barbecue Pasta Salad.